You cannot discuss landing pages without mentioning Instapage. In fact, it is hailed as one of the best platforms for building landing pages without knowledge of coding. One of the reasons for loving Instapage is its great features that help you improve the conversion rates of your business website. Talk about getting a high return on investment. Instapage is available to everyone with something to do online, whether a marketer or an entrepreneur. In just under three minutes, you will have a landing page that oozes class and excellence. Take advantage of the numerous options offered by Instapage to come up with a page that works for you and your business. You don’t have to be a professional web designer. Once you have your page up and running, you will be able to keep track of your conversion rates. The graphs and analytics are the tools you need to make better business decisions in future. 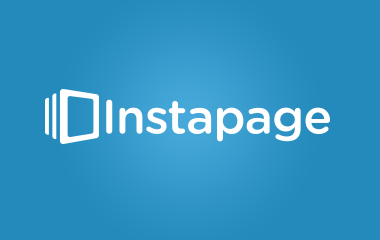 What Are The Features Of Instapage? With Instapage, you will get all the basic features to help you build a website without coding skills. This platform is built to give you all the tools for building great landing pages. Landing page builder This easy-to-use tool comes in the form of a drag-and-drop editor that enables you to build as well as edit your web pages. Ready-to-use customizable templates On Instapage, the most popular templates include those geared towards event registration, lead generation, and thank you pages. Optimization and analytics: Instapage features an analytics dashboard that shows the conversion rates for all your web pages. A/B split testing: On Instapage, you will also get split testing so that you can compare different versions of the same page with the aim of identifying the best. Business organizations are looking for fast ways of developing new marketing pages. Those that have already discovered Instapage are already enjoying these benefits. With this tool, it is easy to gear your pages towards lead generation, sales, webinar registration, and thank you web pages. You don’t have to waste money on hiring a web designer, web developer, or budget for in-house website building. With Instapage, it is easier to add to your pages the average lead generation tools such as forms and boxes. You will find it very easy to integrate form submissions with your favorite email marketing tools. You wouldn’t find a more effective and professional way of building your email list. Some of the Instapage templates allow for a multi-step or two-step opt-in forms which are great for lead generation. Every business owner or marketer wants to know how their landing pages are performing. With Instapage, you have an effective solution. On the analytics dashboard, you will be able to see the conversion data for each and every one of the landing pages. Apart from being able to make comparisons between different landing pages, you can also gauge your performance against industry standards. Are you always concerned that your page copy or design might not represent the best you can produce? Instapage allows you the freedom to split-test your web pages using the A/B Testing. You can look at two different webpage versions and choose the best between them. However, you can only do that on the pro or premium plans. The standard plan doesn’t have this feature. It is very easy to run the A/B test. All you have to do is take the main version of a webpage (A) and make a duplicate of it (B) with some design or copy changes you wish to test. Visitors to your URL may end up being directed to version A or B of the webpage. That will enable you to collect statistics on the page with the highest conversion rates. You can then stick to the one with the highest number of conversions. Picking an Instapage template: If you choose to start with this option, you are just one of the many people who do. It is very popular. The templates are designed by professionals to give you a viable starting point. In this Instapage review, we suggest you start by browsing the more than 100 templates available on this platform. There is no way you will fail to get one that works for you. You will get templates dedicated to your mobile app, click through, lead generation, webinar, and thank you web pages. You will find these pages not just fully customizable but flexible too. Purchasing a ThemeForest template: If the available Instapage templates don’t provide what you want, go to ThemeForest – an external marketplace – and buy one of the over 100 templates. You will pay prices ranging from $9 and $23. Starting with a blank page: If you want, start with a blank webpage. With this, you have the flexibility you need to make your input into the webpage creation process. Even as you quickly come up with a webpage, you need to put in a lot of work and skills. If you are a beginner, don’t use this option. Try the option that allows you to import a template from your favorite webpage on the internet. To fully gear the page to your needs, utilize the drag-and-drop editor. It is this editor that gives Instapage its signature power and simplicity. The platform has an intuitive interface that enables you to do all the editing without running into all forms of clutter. Make sure you use the mobile view to check your page’s mobile responsiveness. To come up with overlapping elements, drag-and-drop an element where you want it to be and adjust what you want to appear on top. When converting the landing pages, take advantage of the countdown timer, which you will not find in certain builders. With the HTML container, you will be able to embed forms and other items that would, otherwise, be hard to add. Of course, one of the best elements is the maps which provide live Google Maps for any address you search. You have been going through the process of creating a landing page. Why don’t you publish it online? You can use any of the following publishing options. Instapage: This is perhaps the easiest option. Only that the URL you will use will have an Instapage subdomain. WordPress: There is a plug-in which you can use to publish the page on your site on WordPress. Direct publishing to your website: To be able to pull through with this option, you require knowing a little bit more about web design. No need to worry. It is very doable. Facebook: If you feel that all the other options won’t work for you, publish your creation as a Facebook page. What Is The Instapage Pricing? Core Plan: Currently, it stands at $76 per month or $68 if you pay once annually. With this plan, you can use most of the basic features on Instapage. Optimization Plan: You will pay some $126 per month to enjoy all the Core Plan services together with Dynamic Text Replacement, Heatmaps, and A/B split testing. Team and Agency Plan: With this plan, you will pay $225 per month to access all of the Instapage services including branded lead notices and 15 sub-accounts. Before you sign up for any of these options, you will be given a 14-day trial free-of-charge. No credit card information is required for this. You Can get Free 14 days trial from their website. Getting quick and quality landing pages online is not that easy. If that is what you want, try Instapage. You can be sure of landing pages that revolutionize your online marketing strategies. Use the customization features and templates to create the kind of page you are looking for. No other platform gives you professional web design results in the shortest time possible. All that without having to learn to code.